Raising a child is expensive. If you struggle to get by on your child or spousal support payments because costs have increased or your circumstances have changed, Murano & Roth, LLC can help. 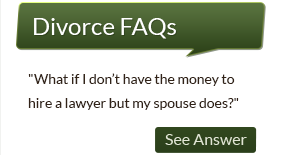 We can also help prevent an order for additional support or alimony if you are being asked to pay more. In our years of practice, we have seen battles for increased support from both sides. We understand how tough it is to get by in today's economy. A lot of people are struggling. We help ensure you work out support payments that are fair and achieve what they are intended to. We are results-driven, reliable advocates on your side. If your divorce agreement permits support modifications, you can petition the court for an increase. A court order is required to modify support payments. A judge considers whether your change in circumstances is significant and long-lasting. If deemed so, the judge then determines the appropriate amount of support by weighing the same factors considered in the original support order --each party's financial situation, the needs and interests of the children and the standard of living before the divorce. Under New Jersey law, children of divorced or unmarried parents are entitled to the same opportunities as children of married parents who have similar financial means. Our skilled New Jersey attorneys present compelling evidence and arguments for or against increased support and alimony. Not all requests for support are based on legitimate reasons. When one parent or ex-spouse tries to shield assets through family or friends or other clever tactics, or exaggerates child-rearing expenses, our attorneys have the resources and experience in post-divorce modifications to unearth the truth. We help uncover hidden income and assets or inflated expenses. We also defend clients when they are accused of being deceitful. Regardless of which side of a support increase request you are on, we’re here to help. We work to make sure you understand your situation, rights and that you are prepared throughout the support modification process. If you need help pursuing or defending against a support increase, you can depend on our experienced lawyers for sound counsel and real solutions. 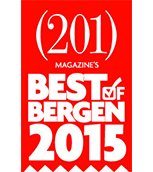 Contact Murano & Roth, LLC online or at 201.265.3400. We offer a free 30-minute consultation.